The Ladies’ Tailor is a book comprising a collection of monthly journals dating from July 1898 through to January 1901 by The John Williamson Company Limited that published the Tailor and Cutter magazine and provided courses for the training of tailors, moving from its Drury Lane premises in 1902 to Gerrard Street. The book’s content, described as “a journal devoted to ladies’ high class tailoring” is shared on this site for all to read and enjoy. Text extracted from the book is exactly as originally written, however not every month for the period 1898 to 1901 is included within the book. Its style of writing gives a wonderful insight into a bygone age. This book belonged to my father, himself a Ladies’ Tailor, who entered the profession after having returned home from world war two. The articles and photographs from within the book will be added to this site on a gradual basis. Enquiries about acquiring the book are welcomed. 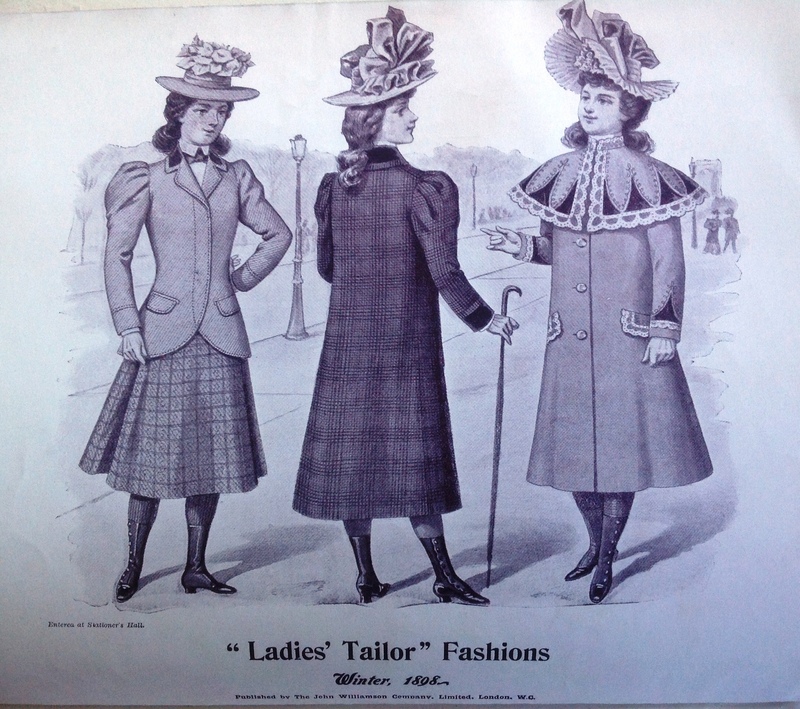 I am sourcing images for an educational book and I was hoping that you might know how I could license some images from The Ladies’s Tailor? I would like to use some images from The Ladies’ Tailor for an upcoming education book and I wondered if you knew how I could license them? Hi Bronya, thanks for your enquiry, I will email you. Hi Karen, so pleased you made contact. I enter a different time zone when I read the book. Taken a quick look at your website & I’m in awe of your work, truly inspiring. I shall email you.